the Gracie bag | escaped. It started with this message I got in my phone. "ANYA HINDMARCH Moving Clearance Sale 16 to 18 Jan, Fri-Sun, 10 am - 8 pm @ Level 2, Westin KL. T : 03xxxxxxxx. NEW Pavilion standalone store opening in Feb!" Was contemplating whether or not to go, until I saw a Gracie bag at their Parkson Pavilion store - a Gracie bag from their Star Cruiser family, in black. I usually would stick to leather strap, knowing fully well if I ever wanted a chain strap bag, it would always be Chanel. But seeing the Gracie bag in flesh that day changed my whole perspective - it's dubbed the second Chanel signature flap bag for a reason! 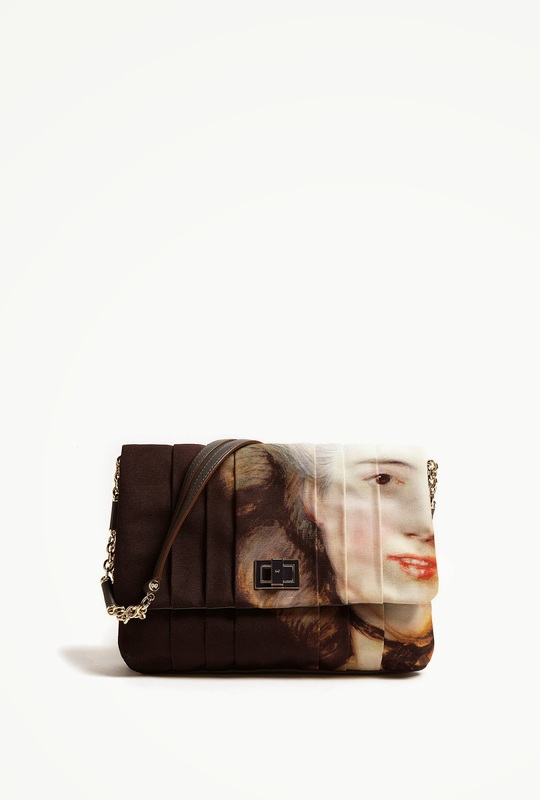 Among the many versions of the Gracie bag, the Duchess. So quirky. One thing about AH is, I like the fact that she constantly revolutionizes her designs into prints like these - besides her plain leather ones, the best sellers. The Gracie bag has always known as her best selling bag; but it can be frustrating that they only come in one shade of leather - black, tan, white, etc. Didn't get the Gracie bag because I didn't plan for a bag purchase that time. A few weeks after, the text from AH came. I've never went to a 'moving sale' before, so was quite impressed when we reached Westin Hotel. Saw the sign "Anya Hindmarch Moving Clearance Sale" with its signature dainty bow, guiding us upstairs to the second floor and the ballroom. The ballroom isn't too big as there aren't many items on display there, and there were 4 ladies in the room including me. Took some time wandering around..and I saw the Gracie bag. The same one I saw at Parkson Pavilion, a few weeks back, at a MUCH cheaper price. This has GOT to be a sign lol. Prints from their SS14 collection entitled Star Cruiser, inspired by a sci-fi film from the 50s, "Forbidden Planet". And this concludes bag purchase before baby is born (hopefully).